Park City Real Estate Tip: Choose Your Exposure Wisely! Posted on Wednesday, November 28th, 2012 at 2:50pm. Do you prefer an abundance of natural light or cooler summers? Well designed homes and condos with a southern exposure will feel light and bright all year round, even during the shortest days of the winter. These properties may incur lower utility costs during the winter, as they pick up more passive heat, and fewer lights are used. Homes on a northern aspect will feel cooler in the summer months, and therefore may need little or no air conditioning. Do you want to plant trees or buy a home or home-site in an already established forest? Real estate on the northern aspects can sometimes include something very valuable- large, mature trees. Why is this important? Trees and water can be expensive. However, people that prefer the south facing exposure (and views that sometimes come with it) would say the investment in some trees and landscaping is a fair trade. Same time of day, taken from the same location. The homes with direct southern exposure (left) are directly in the sunlight. above is surrounded by trees. 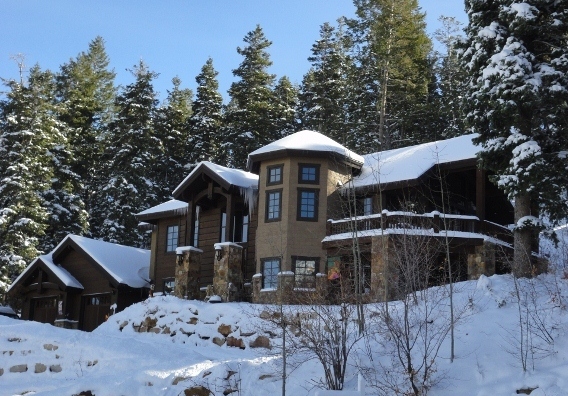 In Park City, or anywhere else, views are important, and in the Park City area, a lot of the premium views are captured by the homes that have some southern exposure. 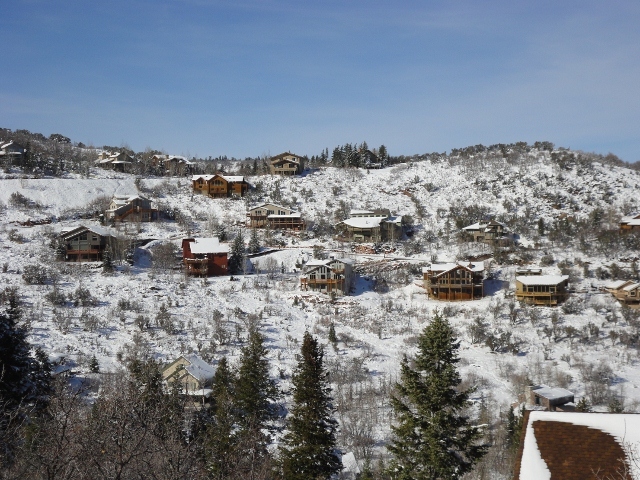 Deer Valley, Park City Mountain Resort, historic Main Street (not to mention most of Old Town) are positioned at the southern end of the Park City area. If you want real estate with a commanding view of these landmarks, you will generally be looking at homes and condos that have southern exposure and view. There are exceptions, this is just the most commonly preferred view orientation in the Park City area. Want snow for more or less of the year? If the property you’re considering has a driveway that climbs or descends a hillside- please pay attention! How much effort you have to put into the keeping your driveway clear of snow and ice will depend greatly on how it is exposed to the sun. There’s no right or wrong. Some people will always favor a north facing aspect because of the natural vegetation and cooler in the summer feel. Others will choose a south facing home site because it’s always filled with natural light at all times of the year.